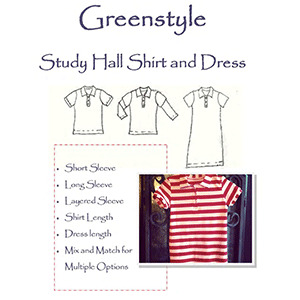 A versatile polo styled shirt that comes with short sleeve, long sleeve or layered sleeve options. Make it as a shirt or a dress, you decide! You need as little as 1 yard of knit fabric to whip this one up. It does have buttons and button holes so you will need to have the ability to create the button holes. If you want you can substitute snaps. The teen version is a slender fit and the women's is a more traditional fit. 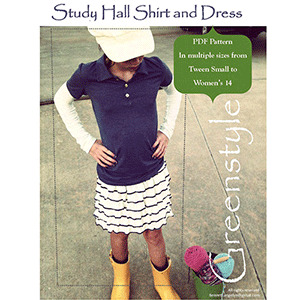 This pattern is available in sizes Tween/Teen S-L and Women's 2-12. 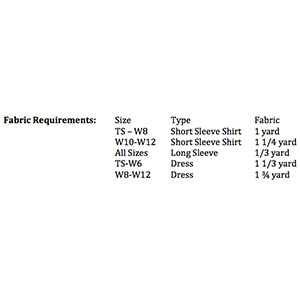 Suggested fabrics are stretch knits such as cotton lycra or cotton jersey.